Crow’s feet are the crinkly lines that appear at the outer corners of the eyes. As the skin around the eyes is thinner than on other parts of the face, crow’s feet lines often appear as early as in the mid-20s. Avoiding smoky atmospheres and using sunscreen will surely help prevent crow’s feet, and crows feet exercises will help diminish them – even if they are quite deep. Squinting is likely to make crow’s feet worse. You don’t have to be in bright sunlight to squint; you might be squinting without realizing when working at the computer or watching TV. If you find yourself frequently squinting, it may be a good idea to visit an optician to see if there is a problem with your eyesight. Bright sunshine squinting can usually easily rectified with a pair of good-quality sunglasses. The top facial exercise trainers recommend quite similar exercises to reduce crow’s feet. Deborah Crowley from Flex Effect, and Carolyn Cleaves from Carolyn’s Facial Fitness, both recommend exercises that involve covering the lines with your fingers and pulling them toward the hairline, while squeezing your eyes tightly shut. The following video shows Carolyn Cleaves from Carolyn’s Facial Fitness demonstrating this effective crow’s feet exercise. An alternative simple exercise to reduce crow’s feet is to place the sides of your index fingers on the outer corners of your eyes and quickly open and close your eyes, around 30 to 60 times. As you do this, your fingers will move with the muscles toward the center of your face. Don’t try to stop this, the added weight of your fingers is enough to build the orbicularis occuli, which is a muscle that encircles the entire eye. Do these crows feet exercises at least once a day for maximum results. One of the most aging aspects of advancing years is the appearance of hamster-like pouches, commonly known as jowls, which sag from the jawline. A plastic surgeon will generally perform a face lift to improve the appearance of sagging jowls. Luckily, this is not the only option, and there are several facial exercises for jowls that are effective. If you pull the skin tight around your temples, you will see this decreases the baggy jowls, therefore it is important to exercise the whole face, and not just the jawline, if drooping jowls are a problem for you. As well as practicing facial exercise for jowls regularly, be sure to also practice exercises to lift the cheeks, as this will automatically raise the jowls, as a good part of the face “hangs” of the cheeks. 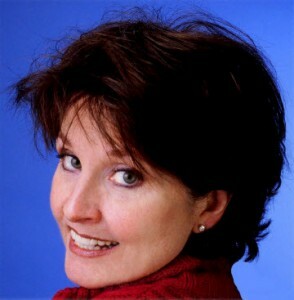 Double chin and neck exercises will also improve the appearance of saggy jowls. 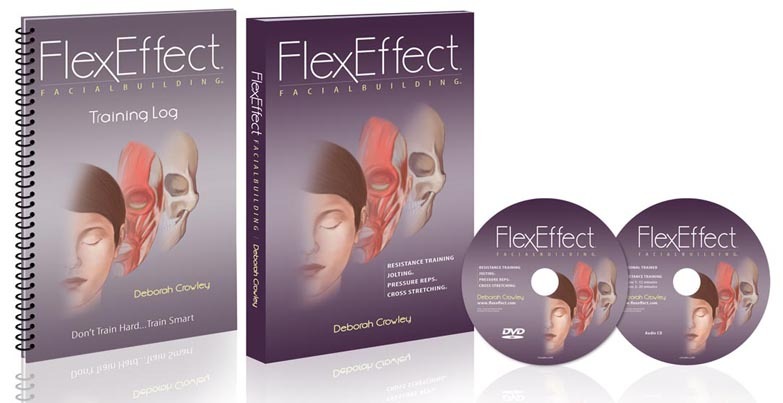 Deborah Crowley’s FlexEffect Facial Resistance Training provides a number of exercises to tighten the jawline; this one involves protruding the jaw. Push your lower jaw forward, and place three fingers on the front, at the tip of your chin. Attempt to return your jaw to it’s regular position by pushing it back with your fingers. Resist the attempt by pushing back with your jaw muscles. Repeat the exercise by moving your lower jaw to the left. Place three fingers on the right side of your jaw and attempt to push the jaw back to a central position. Repeat on the other side. Deborah Crowley suggests starting with as many reps as feel comfortable, and building up. The ceiling chew can be performed sitting or standing. Tilt your head backward and look up at the ceiling. Pretend to chew, or genuinely chew a piece of gum. You should feel the muscles working beneath your chin. Continue chewing for around 20 seconds, or longer, if it feels comfortable. This workout will help tighten a lose jawline and reduce a double chin. This exercise forms part of the Faceworks fitness program. It is designed to tone a double chin and firm the jawline, which will help diminish the appearance of sagging jowls. Tilt your head back, as in the previous exercise, and look up at the ceiling. Push your lower jaw forward so you can feel the muscles and skin stretch, but not to the point you feel discomfort. If you have any pain beneath your ears, you have extended your jaw too far, and should retract it a little. Hold this position for a count of 10 seconds, concentrating on the tightening beneath your chin. Slowly lower your head three inches, then gradually raise it again. Move you head up and down 20 times, looking straight ahead without moving to either side. 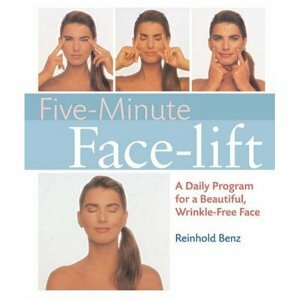 The tongue exercise is from Reinhold’s Benz’s “Five-Minute Face-Lift.” Benz’s book contains several short toning facial exercises for jowls which help to firm the jawline and reduce sagging jowls. To perform the tongue exercise, stick your tongue out as far as possible; as though you want to touch the tip of your chin. Hold the pose, until you begin to feel the muscle burning at the back of the tongue and underneath your chin. Relax, and repeat five times.